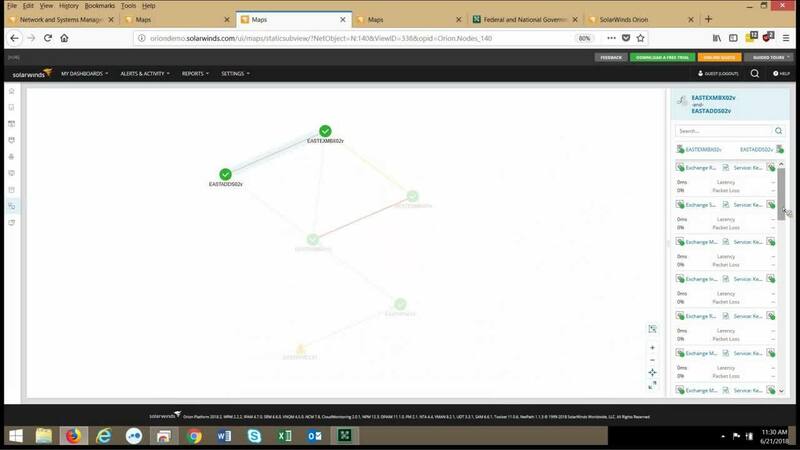 The Federal Sales Engineering team discussed and demonstrated Q2 2018 releases, including a new Network Performance Monitor 12.3 and Network Configuration Manager 7.8 feature called Network Insight™ for Cisco Nexus®. We also reviewed IP Address Manager 4.7, NetFlow Traffic Analyzer 4.4, VoIP & Network Quality Manager 4.5, and Orion® Platform scalability improvements. Plus, we gave a sneak peek of Log & Event Manager 6.4 and our new product, Log Manager for Orion.